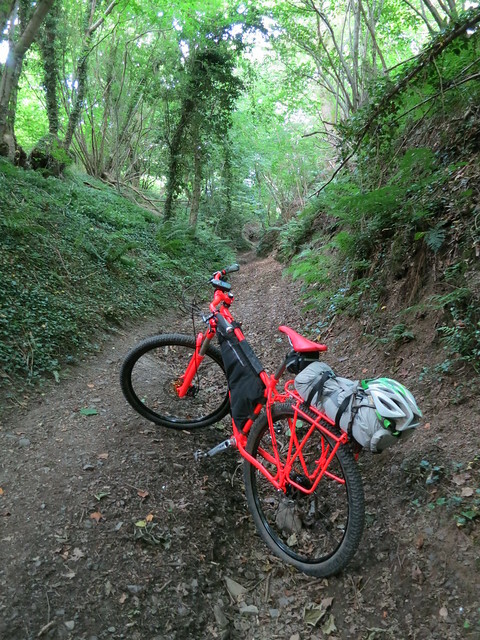 Since my first bivi bike ride I've been trying to find perfection in looking for a long distance, low maintenance, comfortable bike that can carry me and my kit. I recently rode the full length of the towpaths along the Leeds - Liverpool canal. Why? I live in Liverpool and ride short sections of it nearly every time I ride on my local trails as it runs straight through the village where I live so I use this rather than use the busy roads and because I was born in Leeds it would be good to ride to it rather than drive to it on the M62. Reading Art Dave's comment on the MTL how it went thread, which read. "p.s for Kiwi, I was chatting part way round to a rider on an Orange 5, with bar bags, saddle bags, and all kinds on his bike. He'd done 4 days riding / bivvying in Wales, had ridden over, was doing the Towneley loop, then riding back to Hebden After it. He's a proper Bivvy'er, not scared by a drop of rain.........."
Starting from the most important to take with you down to the least important that could be left at home, where you draw the line is up to you. 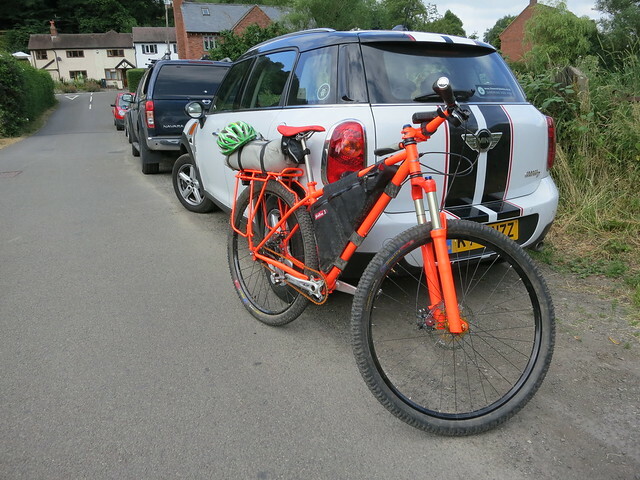 At 3pm yesterday afternoon (20/7/13) I drove my loaded up car for a Micro Adventure. 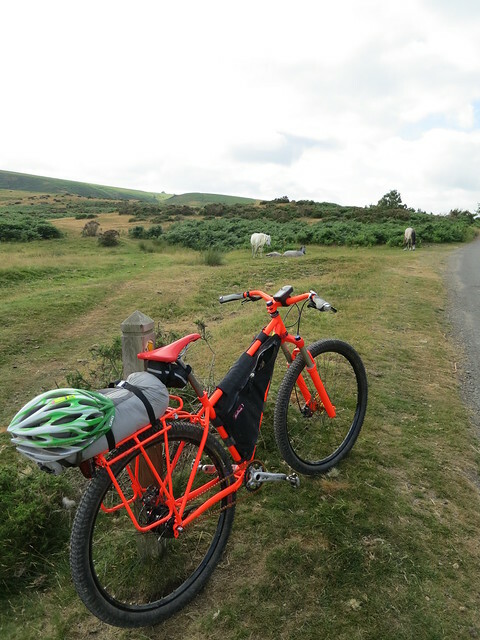 I headed off to Church Stretton and by 5pm I was riding my laidened bivi bike.